Home News First Trax Give Me My Hour Back! I Want it Now! Give Me My Hour Back! I Want it Now! I don’t know about you guys but I’m up early today looking for something. SOMETHING just doesn’t feel right. I KNOW WHAT IT IS! It’s that damn hour of sleep that somebody with mush for brains stole from me last night! H-o-p-e-f-u-l-l-y if you’re reading this you set your clocks and watches an hour forward either last night before going to bed…or sometime earlier. Otherwise you’ll be a little late for first tracks this morning. You can thank George Vernon Hudson for the fact that you are probably feeling a little out of sorts or more tired today after losing that hour of sleep. I guess there IS one benefit for skiers and snowboarders – we’ll each get one more hour of DAYLIGHT within which we get to ride the snow from now throughout the rest of the ski season. Over the last day or so – I heard on some news report that some recent study proclaims that there is an increase in heart attacks on the Monday following Spring’s daylight savings time. 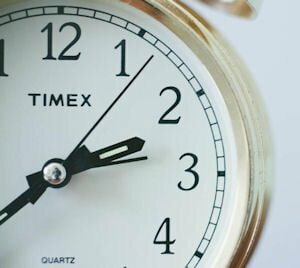 According to that study the number of heart attacks increased 24 percent on the Monday following a daylight saving time, compared with the daily average for the weeks surrounding the start of daylight saving time. …as IF we needed something ELSE to be concerned about!?!?! I say SLEEP IN a bit; get up and exercise a bit; have a nice breakfast and then head to the slopes and take in some nice turns on the mountain of your choice and CHILL OUT. Tomorrow you WILL feel less stressed as you head into the work week. Today will be some 10-15° milder if you ARE riding your favorite mountain. As I did my tour around the conditions at all of the ski areas, temperatures are mostly in the low-to-mid 30s this morning. Those temps made it such that no resort made snow overnight (as far as I could tell). That’s something that we haven’t talked much about lately. It should be noted that some ski areas have already unofficially ceased snowmaking ops and will ride out the season on the base depths that they’ve got right now. Of course they’ll groom and maintain it…but they won’t MAKE anymore snow. Any natural snow will be great, but the truth is every resort that wants to – could probably easy ride the rest of this month on very good snow bases without making any more snow. So snow ONLY melts at those three ski areas. Hearty “atta boys” to those three for a-c-t-u-a-l-l-y reflecting what we ALL know is happening during milder spells. No worries there though…every resort looks great in the base-depth department. Appalachian made snow a couple of nights ago and it appears that they and a few others will still make snow as the temperatures allow in order to provide the most optimal conditions for their guests. App posted this awesome photo on Friday – after some snowmaking Thursday night – overnight. THAT is what makes this time of the season so great. Conditions will be sweet with plenty of groomed conditions on an almost daily basis…while temperatures will allow for much more “comfortable” skiing conditions and NO snow guns blasting away. IF resorts make snow now and for the rest of the season – they’ll do so overnight when we’re sleeping. Speaking of… Kenny Griffin was in the office on Friday and he added a pretty cool APP on my phone where I can actually PAN, TILT and ZOOM most all of the cameras at the various ski areas remotely, from anywhere. I was sitting in a restaurant the other night, moving and zooming a camera around up on Lake Superior! Technology! Right?!?! 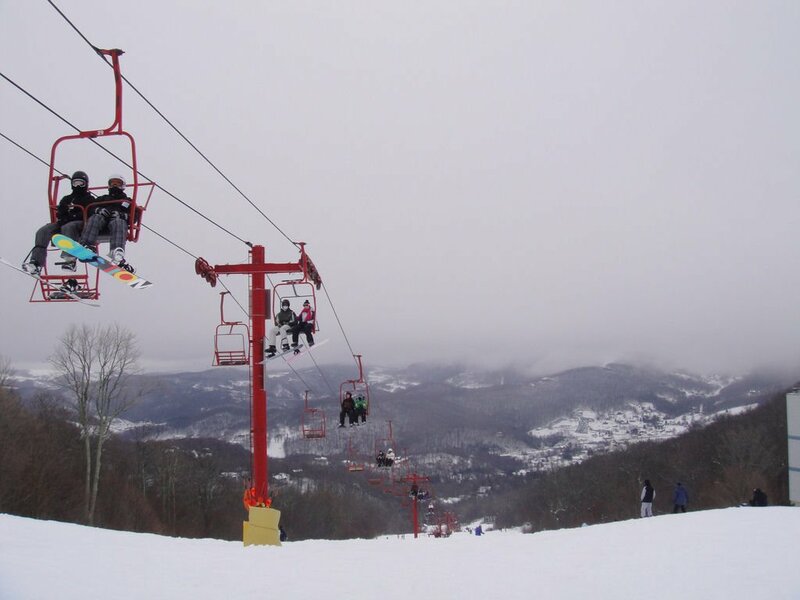 There’s is STILL – officially – a month left in the 2014-2015 ski and snowboarding season for the Southeast and mid-Atlantic ski areas – (weather permitting) thanks to Snowshoe and Appalachian Ski Mountain (who will ride until April 5th). You can CLICK the graphic above to GET those 50% off tickets to APP for that final weekend AND help a great cause. Wisp Resort – day sessions only on Sundays. Timberline Resort – day sessions on Sundays. Canaan Valley – day sessions on Sunday. Massanutten – NO NIGHT SKIING TONIGHT THROUGH THURSDAY, MARCH 12. Massanutten is scheduled to carry their season on until March 22nd. Bryce Resort – day sessions only on Sundays. By the way, they are reporting 8″ of new snow. That’s a mistake as that is snowfall from mid-week. The Homestead – day sessions only today. 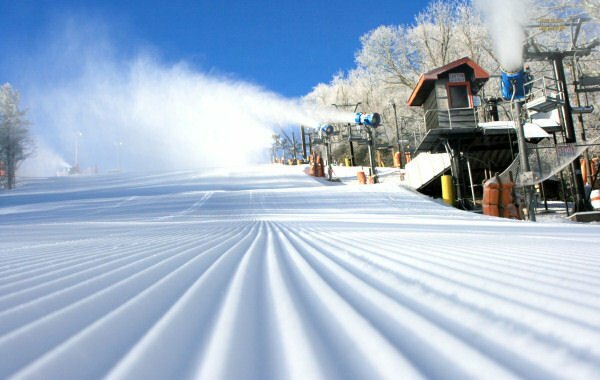 Cataloochee will now ONLY do day sessions for the rest of the season. Wolf Ridge – THIS is their final Sunday for the season! In fact, for Wolf lovers – there are ONLY two days left to ski and ride on this season! They will do day sessions today and then they will be closed Monday through Friday this week and open next Saturday for their final day of the 2014 / 2015 ski season. Sapphire Valley is ENDING THE SEASON after day sessions today. Ride til 6pm and then the season comes to an end at Sapphire today. So Appalachian, Beech Mountain, Sugar Mountain, Ober Gatlinburg, Wintergreen Resort, Snowshoe Mountain and Winterplace are the only resort offering night sessions tonight. This is always a weird time of the season. You get the feeling that “the end is near” in terms of limiting us on WHERE and HOW MANY ski areas are open. Sapphire will cease ski and snow ops after today and Wolf Ridge is only going one more week or actually one more weekend as they will close this week and re-open for next weekend before calling it quits on the season. There’s plenty of snow on those slopes but “tis the season” when those from off the mountain start thinking of warmer activities or things other than snow skiing and snowboarding. Such is life I suppose. Kenny and I will be posting the announced dates for ALL of the ski resorts as I have been getting some of those emails asking WHEN and WHERE. As usual, we’ll keep you guys and gals informed.